Discover the dreamiest road trips in Europe on journeys where the kilometres displayed on the dashboard have very little significance compared to the extraordinary landscapes and unforgettable experiences ahead. The south-west of Ireland is home to an idyllic 200-kilometres loop that is often described as having the most picturesque sights in all the Emerald Isle. 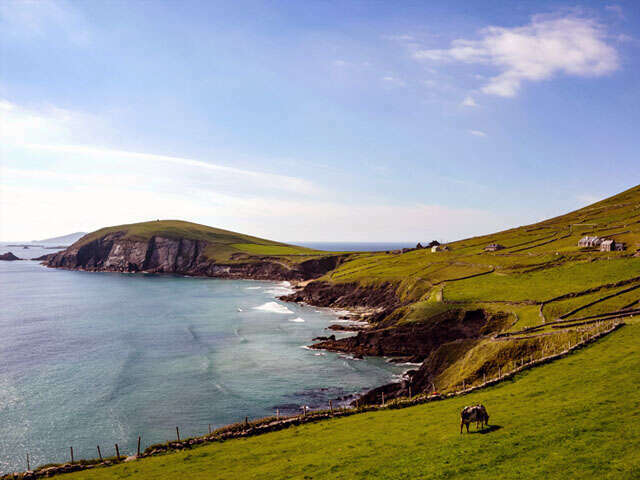 Complete the Iveragh Peninsula circuit to stumble upon on unsuspected beaches flanked by soaring cliffs advancing in the wild Atlantic Ocean as well as quaint fishing villages where time seems to have stood still. In all of Britain, only the west of Scotland can offer such sweeping panoramas! 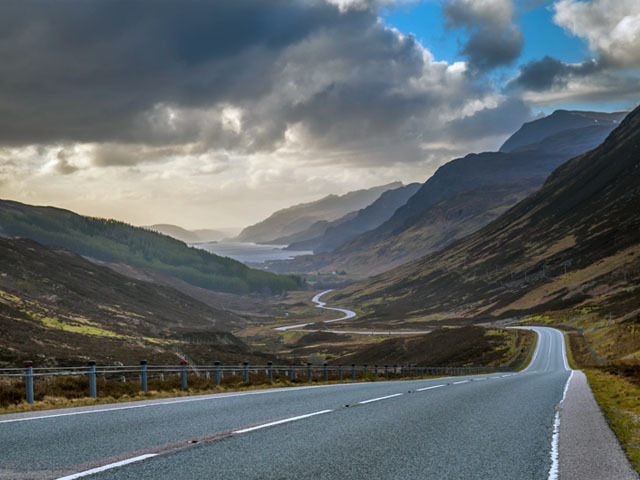 These barren, precipitous landscapes dotted with historic castles –some of which appear to be haunted by the ghosts of Scotland’s eventful past– and distilleries are certainly not a nuisance to drive through. 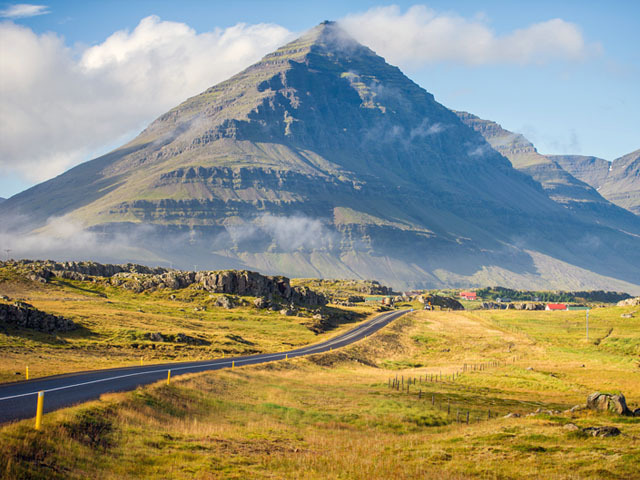 Iceland’s unique ring road will have you discover some otherworldly scenes only ever found on this wild North Atlantic island. Massive glaciers, ashy outcrops, crystal-clear lakes and volcanoes –some of which are still very much active– punctuate the otherwise lunar-like scenery. Definitely the trip of a lifetime! Encompassing three of North Italy’s regions is one of the country’s most pleasant panoramic routes. 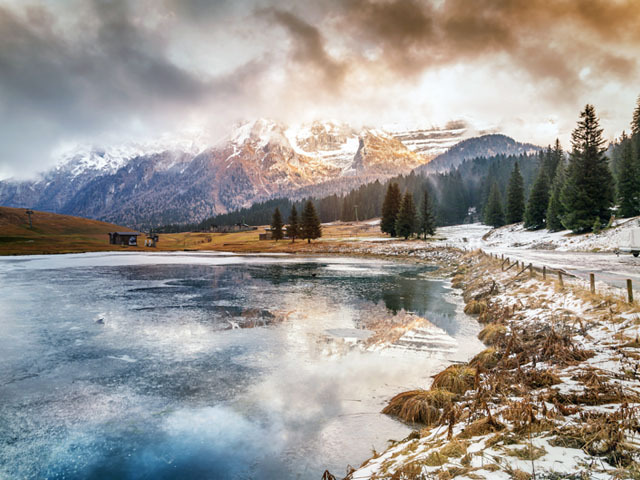 Vastly different from what most people imagine a road trip in Italy to be like, this is an alpine journey amongst summits that have been recognised as UNESCO World Heritage Sites since 2009. These majestic massifs and their vertiginous brinks are pretty heavens on earth for enthusiastic trekkers; the quantity of outdoorsy excursions in this area is almost endless. 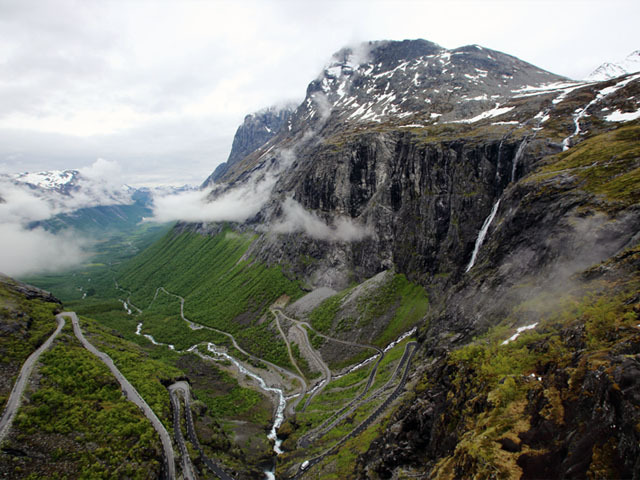 Considering its many 10°inclines and challenging hairpin bends, and, most importantly, its mountainous scenery, there’s absolutely no doubt “Troll Road” is one of Europe’s most impressive road trips. Along the way, visitors will find thundering waterfalls, majestic fjords and deep valleys that have been shaped by the most recent Ice Age. Truly a sight for sore eyes. Spanning all of Bavaria and Bade-Wurtemberg regions, the aptly named Romantic Road is a delight for castles and history aficionados. 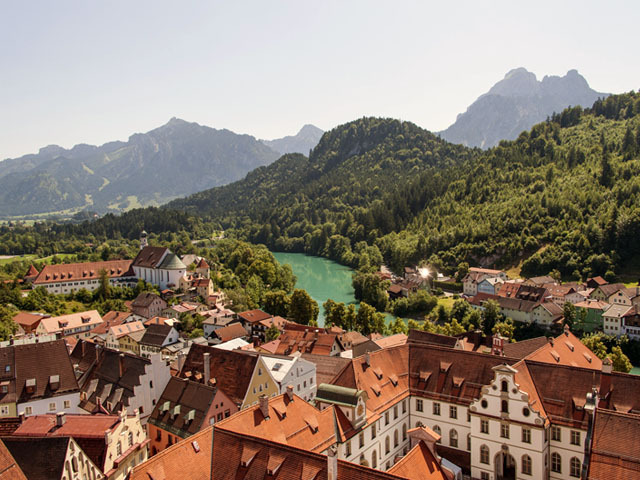 The 350-kilometres journey retraces South Germany’s long history and traverses a dozen or so villages and towns, each with a different claim to fame. Whatever the time of the year, chances are there will be some sort of festival or fair along the way; make the most of it by mingling with locals and enjoy German culture! 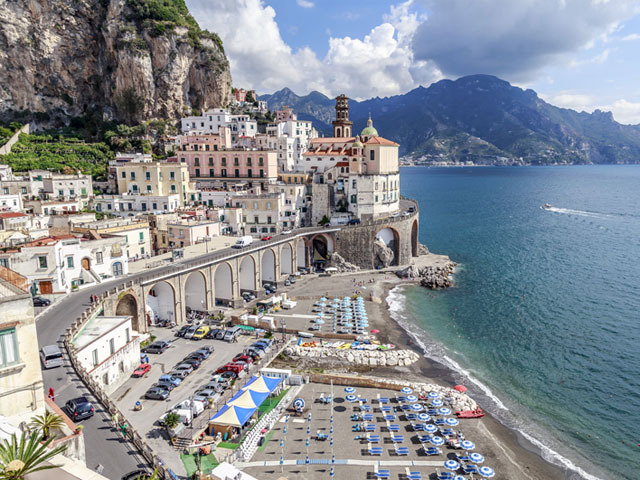 Rent a convertible, let your hair down, put your sunglasses on and head towards southern Italy for an epic road trip along the coast. Enjoy the dolce vita by indulging in some gelato, pasta and spritz on a daily basis while admiring some of Italy’s striking vistas. The drive is speckled with dramatic coastline with abrupt cliffs, whitewashed villages and hundreds of quiet beaches… in other words, the textbook definition of a dream road trip.